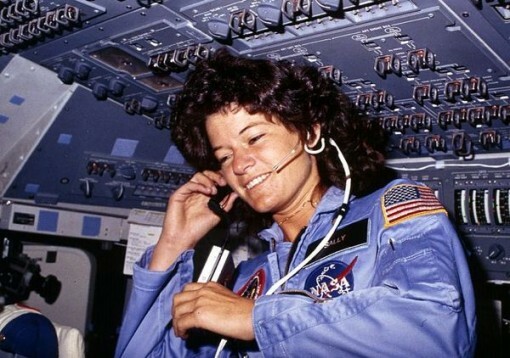 Sally Ride, America’s first woman astronaut communitcates with ground controllers from the flight deck during the six day mission of the Challenger. National Aeronautics and Space Administration., 06/18/1983 – 06/24/1983. Courtesy: National Archives. Sally Ride, the astronaut and physicist who sparked the spirit of inspiration in the nation when she became the first American woman to travel to space in 1983, died yesterday of pancreatic cancer, she was 61. Ride spent the last several years of her life dedicated to the pursuit of increasing the profile of math and science education in the United States, especially among young girls and women through the organization she founded, Sally Ride Science. 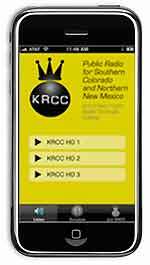 As she traveled the country with her science festival, KRCC’s Andrea Chalfin caught up with her by phone prior to her appearance at UCCS, this is Sally Ride from that conversation in September, 2008.